 Appearing as a core cast member of Al Murrays new sketch show (ITV 1).  Performs several characters for the sketch show Little Miss Jocelyn (BBC One).  Recorded Funny Cuts  Simon Brodkin Sketch Show (E4).  Performed his first solo show at the Edinburgh Fringe Festival, Simon Brodkin: Everyone But Himself, selling out every night.  Won the The Writers Guild Award for Best Newcomer in Edinburgh for his show Everyone But Himself.  Winner of Brightons Komedia comedy competition.  Simons stand up performance is filmed for a Sky News feature.  Contributed to Embarrassing Celebrity Moments (Five).  Finalist of the Amused Moose Comedy Competition.  Appeared in three new talent showcases at the Pleasance and Gilded Balloon for the entire month at this years Edinburgh Fringe Festival. 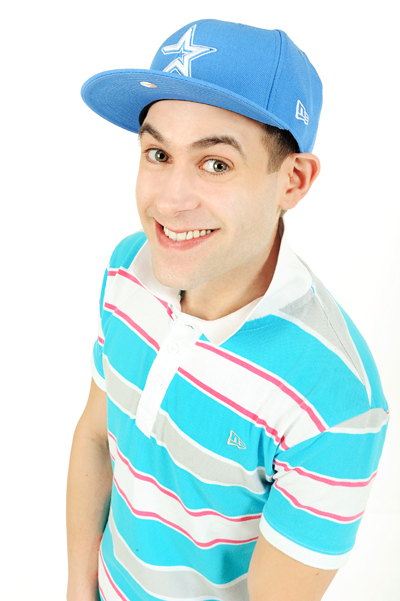  Simons character, the lovable teenage yob Lee Nelson, is a regular fixture on The Morning After Show (Channel 4).  Finalist of the Hackney Empire Best New Act Competition.  Appeared in Holby City (BBC One) alongside Jocelyn Jee Esien of Three Non Blondes.  Simon appears regularly in the Bafta nominated comedy show Swag (Five), writing and performing several characters.  Simon stars in a WKD advert.  Stars in a series of prime-time shorts entitled From Baghdad To Balham (Channel 4), playing a recently arrived Iraqi asylum seeker.